Whilst many people will be familiar with Charles Dickens as a novelist who addressed social ills, in his fiction. Less well known is his work as a journalist and activist who campaigned to improve the lives of the most desperate and forgotten people in Victorian society. 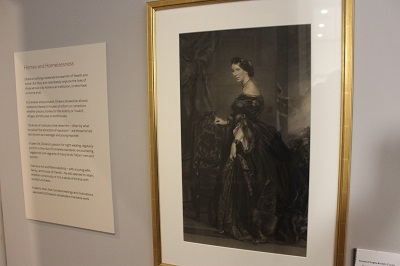 The latest exhibition at the Charles Dickens Museum entitled Restless Shadow explores Dickens’s work to achieve social justice and his connections to other Victorian reformers such as Florence Nightingale and Angela Burdett-Coutts. It was as a young journalist under the pen name ‘Boz‘ that Dickens developed his skills of investigative reporting and satirical exposé. It was these skills that would prove invaluable when he launched his astonishingly broad range of campaigns. The Restless Shadow focuses in particular on Dickens’s campaigning on homelessness; workhouses for the poor; schools and schooling; conditions in the armed forces and for veterans; and prisons and punishment, including his opposition to the death penalty. 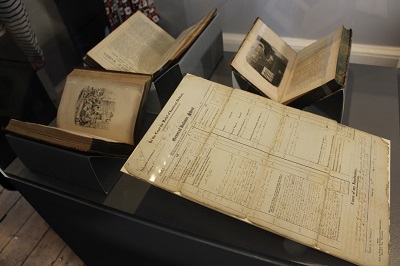 It also shows how Dickens’s investigative reporting informed his fiction, for example, in Fagin’s sentencing and Bill Sikes’s accidental hanging in Oliver Twist. 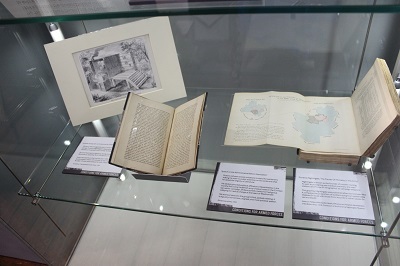 At the heart of this exhibition is the monthly journal, All The Year Round, which Dickens founded in 1859. It provided Dickens with the ideal vehicle to trasform magazine articles into calls for action. As editor, Dickens published others’ contributions to All The Year Round anonymously. For more than a century, researchers were unable to prove their authorship. Then, in 2014, Dr Jeremy Parrott discovered a unique set of volumes annotated with contributors’ names. 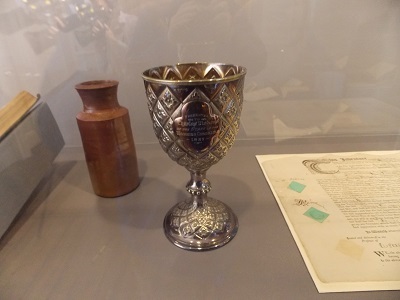 This is the first time that Dr Parrott’s discovery has been on display to the public. It reveals the identities of the men and women whom Dickens gave a platform to write on the most vital and controversial issues of the day. 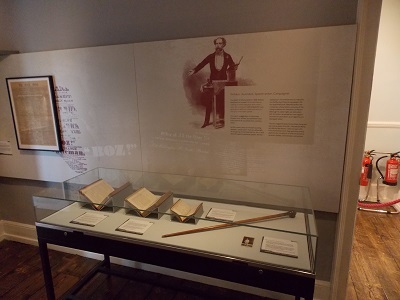 Other highlights of the exhibition include Dickens’s editorial chair, and his walking stick from the 1860s. 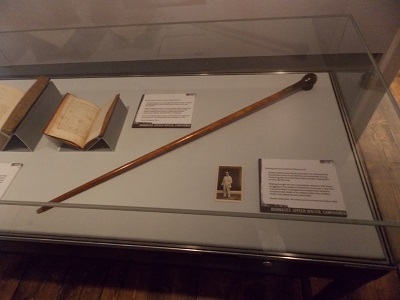 He used the stick to walk huge distances exploring London’s streets by day and night seeing himself as a witness to the suffering of those in society who were generally ignored by those in positions of power. 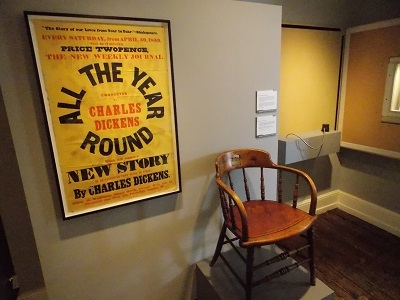 This intriguing small exhibition is free with general admission to the museum and provides plenty of evidence how Dickens looked for practical solutions to the social ills of Victorian society. His life and journalist career had exposed him to the reality of everyday life and prevented him being seduced by more idealistic solutions. Many of the charities he supported were those who provided practical support to those in need including Hospital for Sick Children (now Great Ormond Street Hospital), the Foundling Hospital (now Coram), Field Lane School and the Artists’ Benevolent Fund. When Dickens moved into 48 Doughty Street, he was a little known writer, still using his pen-name, Boz. By the time he left, he was an international superstar, having finished The Pickwick Papers and written both Oliver Twist and Nicholas Nickleby at the house. The rooms are still filled with the furniture Dickens bought for the house – most of the fireplaces, doors, locks, window shutters and fittings are his. 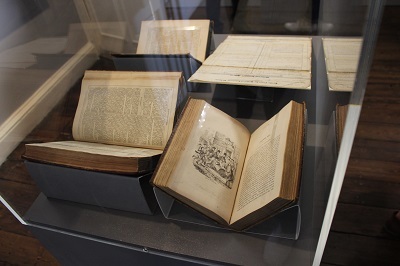 The Museum holds the world’s most comprehensive collection of Dickens-related objects. By londonvisitors2014 in Exhibitions on May 8, 2017 .